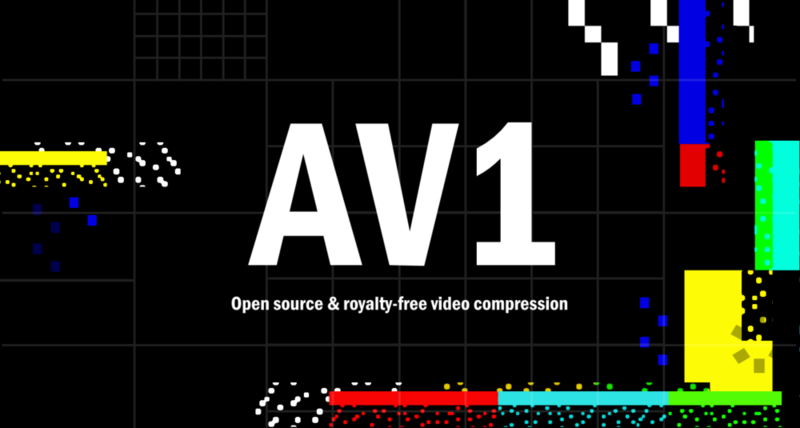 AV1 is a new video codec that promises to help companies and individuals transmit high-quality video over the internet efficiently, without paying royalty fees. AV1 is the first project to come out of the Alliance for Open Media (AOMedia), a consortium that promotes media codecs, formats, and technologies for the public web. Mozilla joined AOMedia in 2015 as a founding member. Mozilla sponsors open media codecs like AV1 because they have the potential to remove technical and financial barriers for people who want to create and share high-quality media experiences on the open web platform. How is AV1 different? What will it replace or change? The most popular video format in use today is AVC/H.264. That technology was introduced in 2003 and is owned by the Moving Picture Experts Group (MPEG). MPEG has created a successor to AVC/H.264, known as HEVC (High Efficiency Video Coding) or H.265, which has improved compression. However, uncertainty around HEVC’s licensing fees make it untenable for both web browsers and content creators. The goal of the AV1 project is to replace AVC/H.264 as the predominant video format for the web and to compete with the HEVC codec, so high-quality video can be shared freely and efficiently on the open web platform. Why are open media codecs important? Video content makes up more than 70% of internet traffic today, and is expected to grow to more than 80% worldwide by 2021, per Cisco research. Small improvements in file sizes, transmission times, and image quality can add up to major benefits for video creators and consumers alike. Having a low-cost or free way to share video files would remove barriers to entry for small companies and individuals that cannot afford to pay hefty licensing fees. Today, content creators, media sites, and browser companies must pay royalties to compress and decode video files using AVC/H.264, so video files can travel over the internet quickly. Large companies that stream video on demand can pay tens or even hundreds of millions of dollars in licensing fees a year. The next-generation HEVC/H.265 codec, with its many patents, could cost up to ten times more than AVC/H.264. Where did AV1 come from? During the last six years, a number of companies launched projects to create viable alternatives to patented video codecs. Mozilla started work on the Daala Project, Google released VP9, and Cisco created Thor for low-complexity video conferencing. All these efforts had the same goal: to create a next-generation video compression format that would make sharing high-quality video over the internet faster, easier, and cheaper. In 2015, Mozilla, Google, and Cisco, and others joined with Amazon and Netflix and hardware vendors AMD, ARM, Intel, and NVIDIA to form AOMedia. As AOMedia grew, efforts to create an open video format coalesced around a new codec: AV1. AV1 is based largely on Google’s VP9 and incorporates tools and technologies from Daala, Thor, and VP10. AOMedia published the 1.0 specification for AV1 in June 2018. That codec is now stable and available for public use today on a royalty-free basis. AV1 is the strongest candidate to meet the criteria of the IETF, which seeks to standardize on a next-generation royalty-free video format. Ongoing work is driven by the NETVC Working Group, whose primary contributors include Netflix, Huawei, Mozilla, Cisco, and others. How do media codecs work? A media codec is a device or computer program that encodes or decodes digital video, photo and audio files. Encoding lets users compress files for editing, storing, and sharing content efficiently. Decoding lets end users open and access file contents, typically using an compatible application or player window. For interoperability, encoders and decoders must support a common format, for example AV1. Codecs can be highly specialized for a certain media type, use case, and device hardware. There are thousands of codecs in use today. Some are free and others cost hundreds of dollars or more to use. Some formats, like AVC/H.264, may require license fees even if the encoder and decoder software itself is free. The current AVC/H.264 video codec cannot efficiently support higher-quality video on the web. HEVC/H.265 promises better efficiency for streaming video on demand. However, the many patent holders in HEVC/H.265 could drive costs up, making it prohibitively expensive for many companies to actually use this next-generation codec. Content creators would also need to license HEVC, which could limit its use to a select few. Browser vendors are expected to begin adding support for AV1 to desktop browsers in 2018, for use with popular websites. News articles predict AV1 may appear in game consoles, set-top boxes, and other devices in 2019. Hardware companies may start embedding AV1 technology into processors and graphics cards in 2020, enabling broader decoding of AV1 video files in a wide variety of devices.